The future can always be predicted in cyclical time as it will be like the past, and ultimately both will meet to form a ‘zero-sum cycle’. This said there are in ‘pentalogic’, multiple points of view on the meaning of future. How you predict the future is very simple. You find a nested superorganisms of the 5D Universe and apply to it where the part you are studying resides the laws of superorganisms. The organic method thus is slightly different from the simplex prediction of ‘locomotion futures’ of physics, and predicts organic futures. Since biology, deep time, is based it he worldcycle of superorganisms. Now time is predictable in past and future and there is an obvious logic to it. In a point of present you might not know the future but what the future holds is to be unique, and as such once you have lived it, you will find its causality, because by being unique is both predictable, and deterministic once you past it. And this is because the future are the patterns of evolution of organisms, which follow a worldcycle of life and death and evolution though 3 ages horizons of species and beings that is predictable. Nt. The symbolism often has errors due to my lonely work for decades and laziness, so erroneously I use ∆º for the mind scale which is ∆¹ (∆º is the body scale) not to look for the superscript symbol; in old texts I used Sp (lineal space-time past) and Tiƒ (informative future) but in modern texts I prefer the more precise $t and ð§. In future texts and corrections I try to change ∆º for ∆1 as the mind is precisely the perception of the whole being within its larger world). Regarding the Fractal Generator and all its sub-equations, is also a bit of a mess. Sorry, if the blog had more viewers I would have tried harder. The 3 futures of a single plane, which means the entity will perform either a locomotion, a perceptive, or a reproductive action, in a modular way, ACCORDING to the survival program of the mind – which in a very few self-reflective ‘Buddhist like’ species can be overrun. The 2 relative futures of the individual as a whole and part of a larger social world, which will be the entropic future of death and the emergent future of social evolution into a larger whole, depending on how perfect has been its ‘play’ of the game of existence; improved generation after generation. Reason why the ‘relative emergent’ future as a whole tends to happen only by palingenesis, on the fetus state of the being, as there have been many generational rehearsals of that emergent future, but hardly on the world of History, where only a few geniuses and prophets of History ’emerge’ as a new religious super organism. Most of us, including this who writes and failed to create a new social evolutionary science of history for the creation of a perfect world made to the image and likeness of mankind, are doomed to a future of entropy=death. So the future is predictable in as much as it has only 5 paths, and a subtle study of the ‘Individual element’ in its moment of present, will likely give us enough information based in its previous ‘stœps’, actions=dimotions, to forecast what will come ‘next’. Yet the future is also probabilistic as those 5 possible futures are NOT so clear, even if theoretically knowing all the information about the entity, for 99% of species, which are ‘self-centered’ and will try to enact its program of survival fulfilling the 5 dimotions of existence, the future will happen as planed, INCLUDING THAT OF MANKIND as a super organism and block of time. The future is the whole in scales that comes as an integration of its parts by the mind and its languages, mostly but not only self-centered into the particle-head. In languages of the Mind, the future is the subject, the F(x) function, the first element of any ternary syntax, as it determines the action, the verb, the operand. The future always the negative age, when the mind learns the ‘perverse’ inversion of its existence that is the third age…because its world ecosystem will evolve faster than the individual and so as the individual ages it will become the past of its whole world, in which unavoidably the individual will lag in its evolutionary speeds. In the ¬ entropic negation of all though the future is always death, when the zero sum worldcycle of exist¡ence completes itself. For all those reasons, we could write the future in the ¡logic jargon in ore detail as ƒûður‹e, with the symbols for the ƒrequency of a system in its time cycles, which will return the being into a point of past-future; with the û symbol for a whole ‘universal made of parts’, the future of scales, and with the ðime symbol for cyclical, informative ‘Ðimotions’ of the head and the mind, to end the word with ‹e, the symbol < of entropic expansion and dissolution of the whole into parts, which is the final end-point of any being, which evolves first its information into the future, becoming a whole that will die into an entropic death: û<e. As such the future is as all what exists ‘pentalogic’ in its dual causal, cyclical existence, and mirror symmetry, as you exist to have a period of growing > information and one of <<entropic death. We study the future in many detailed cases, specially in those concerned the super organism of mankind, increasingly ending in a predictable non-future. We all die into the future; that is all existences on the long term are predictable zero sums, all steps in the long term loose its freedom to collapse into a cyclical known future. And so the ‘future that is unknown’ is the closer future, BECAUSE THE 5 DIMOTIONS of existence as SURVIVAL ACTIONSS are the CHOICES OF FREEDOM of a system (in its maximal form). Thus the question of futures is intimately related to the sequences of Actions performed by a system in its program of existence. Future and freedom means essentially that the Universe of ‘creation’ is more deterministic – the proper performance of the game of existence requires a perfect ideal sequential game of actions=dimotions, while the chaotic, entropic, destructive arrow, have no need for the actions to follow the sequential order required of them. I.e. when a fractal point=Tœ is born it first perceives (1D), then moves (2D) to acquire energy (4D) to reproduce its vital cycles (3D), and finally but not necessarily it will interact with similar systems and evolve socially (5D). This sequence however can ‘fail’ and then the system will suffer a degree of entropy by lack of energy, with a negative chaotic perspective. He has not performed properly the game of existence. Order thus establish itself a perfect path of futures, and we can see this working also in Human beings, which are potentially free but tend to follow the prescribed path. And this resumes in a global law of ‘least time’, ‘least energy’, and efficiency, which even physical systems follow – they will move through the least time path, and they will not move when they find a position in which they need to spend the least energy to be in ‘equilibrium’ with the outer world, as to preserve their ‘function of existence’, which is the duration of its world cycle, (in terms of frequency the number of ‘beats’ between birth and extinction). ∆-1: Internally the program of existence, from the @-mind point of view. A SINGLE deterministic future, then is obviously achieved in a ‘tricked’ environment, reason why the genesis of beings from fetus to birth is so successful. The system has raced to perform the most perfect future, after multiple trials and errors of previous generations. The entropic arrow of destruction and death, which must be always considered either from the self to the world or the world to the self in its zero sums. Humans deny systematically the 2nd arrow – the dangers of a larger whole to its smaller self, and hence the Æntropic principle (antropic and entropic view of the Universe, self-centered in man, and irrelevant unable to react to our destruction of it) hinders specially in social censored sciences such understanding. In logic terms it means humans are monologic (self-centered) or tetralogic (denying the 4th Dimotion of entropy) and so have less parameters than those needed to forecast the future. Humans then ignore scalar factors: entropic factors and social evolution, which upsets its ego, and its pretension to be both the center of the Universe and to stop the evolution of that universe in the individual free ego – so they also misunderstand freedom=chaos as a negative selfish cause of self-extinction. We shall then first consider the paradoxes of scale, space and time, regarding the concepts of chaotic free unpredictable futures vs. the reality of organic, social order and deterministic futures what we call the Galilean paradoxes. The simplest understanding of the law of future is this: In any system of reality as the number of steps, particles or events increase, probabilities become deterministic (law of big numbers in probability, median value in populations); this also implies that ‘freedom’ disappears and order establishes itself. This order though is a ‘closed efficient order’, which implies for example that systems become ‘organic’ in socio-biological systems, as the increasing human population requires efficient control of masses, as non-free undistinguishable beings. Those are essential laws forgotten, which only are broken in entropic, Markowian, memoriless cases, which do NOT have order but NEITHER freedom as freedom requires power and control over a territory. I.e. today in America people are in entropic chaos, but have no freedom, as order and power (issue of money, control of laws) are in the hands of companies, financiers and its hired politicos. So freedom as chaos iS not FREEDOM. IT FOLLOWS also that freedom and order are NOT incompatible, but rather for a minority of informative cells-neurons in control of a system. ¬@: And further on, the paradox between entropic, chaotic lower scales of motion, and mental singularities that control the whole system. Order is then the freedom of the @, ∆+1 mind, even if the mass of entropic ∆-1 particles feel to be free in its chaos. T: One of time, which is the paradox of big numbers in Probability. S: And one in space, which is the paradox of topological forms, which are flat, ‘lineal’ or broken at the beginning of a system but will become cyclical closed in a larger series of steps, smooth and curved. Galilean paradoxes: Continuity or discontinuity, motion or form, flat or curved Universe; Both. The discontinuity of space and time is the key to unify the laws of sciences that describe different species, which occupy a certain organic space and last a certain time. In the graph, Saturn’s rings are not a mathematical plane made of abstract points, despite their continuous appearance. Any piece of time/space seems continuous, but when we analyze it in detail, it becomes discontinuous, made of space/time quanta moving in cyclical paths. The key to the Unification of Organic and Physical Sciences is the solution of one of the longest disputes of Physics and Philosophy of Science regarding the nature of space and time: are they continuous as Einstein said or discontinuous as quantic Physics and Biology pretend? Time and Space are not a continuum as Einstein thought. There are in the Universe infinite clocks, forms of reality that trace discontinuous, temporal cycles; and infinite pieces of spatial energy, quantic spaces, divided by membranes, borders and discontinuities, both in organic and physical entities. The quantic nature of space and time today accumulates enough proves, despite the respect that Einstein’s work still causes, as to be the cover of prestigious scientific magazines. And it will revolution all disciplines of science, since all of them use those 2 parameters to explain their species and laws. - The space and energy of any quantic being, homologous concepts, both in Biology (where we talk of organic space) and in Physics (where the vacuum is considered a form of ‘dark energy’). - And the bits of information or temporal, genetic memories and cycles of any being. Since information is stored in memorial patterns that accumulate over time and it is processed in a cyclical manner, as time is. For example, we measure a computer’s informative capacity in Mhz, or quantity of temporal cycles of information the computer processes each second. The 2 fundamental substances or states of reality are thus spatial energy and temporal information that we will call, when properly combined, temporal energy. We are made of energy and time, which our mind often perceives as fixed space and fixed information, but are truly organic, moving forms. And we call its perceptive dualities of ‘Endophysics’ the Galilean Paradox, as humans perceive the Earth still as a whole space. But as we increase the quantity of information=truth we perceive it becomes a rotating, moving mass of atomic clocks (‘e pur si muove e pur no muove’). Indeed, when Galileo said the earth moved, the obvious thought was that he was crazy because we do NOT see it moving. Absolute relativity, the objective view of the Universe thus seems systematically crazy to us. So we shall always find an absolute paradox between personal Gods and objective taoism, between subjective and objective, between the freedom of the self and the bounding world in which it is immersed, between the flat perception in the small being and the closed reality of the larger being, further enhanced by the difference of perception in the 3 scales, and how we perceive our bounded inner world and unbounded outer world; and by the fact that networks of information are invisible, so the being feels free even when it is manipulated by the network of information of the bounded larger whole. This devilish ‘confabulation theory’ is indeed natural to all systems. For example, we are controlled by flows of invisible money which we do not understand, by flows of gravitational forces that peg us to the earth, by the limiting 3 dimensions of perception of light space-time and so on. The paradox of freedom vs. order, chaos vs. boundaries. What we are is a series of bounded limits which ultimately we feel as identities. So the paradoxical Universe requires a paradoxical mind and man has not that mind, reason why for so long – 30 years and counting ∆º§t has merely given a headache to a few scholars but never quite made it. We are human o-points, the universe is ∞. A bit of humility though could help you to understand those paradoxes that are at the bottom line of reality as it is… not. As the theme is so reach and extensive, we treat it obviously in the different lines with different depth. It appeared constantly specially on the simpler paradoxes of Unity vs. diversity and duality (Galilean paradoxes of dis-continuity, | x O= ø-topologies and the 3 ages of life $t>∑∏>§ð, in many posts. But three are the key posts to study those paradoxes, this post, which will summarize them in terms of 1,2,3,4,5 ‘growing’ entangling of the 5 dimensional motions, actions of reality. The post on ¬Æ I-logic geometry and its 5 postulates which embed perhaps in its most profound formalism the way the Universe constructs itself (and it was my first deep insight on 5D 30 years ago, which truly appeared to me as a revelation that changed for ever my mind for good my life for bad)… And in the post on 4. A(nti)symmetries, as well as the most important mathematical article, when finished – I keep it for the end as I will truly enjoy writing it (: on Existential algebra. So here we go from unity to duality, trinity and infinity, on the way those paradoxes entangle reality to be what it does NOT seem to be. Internal Lineal freedom vs. external cyclical order and its reflection in mathematical structures. Definition of a Dimension as motion and distances. The Paradox of Galileo. The first truism of scalar space-time theory, is the concept of a fractal, scalar Universe that becomes fractal, broken, discontinuous, grows in size, creating new ‘isomorphic scales’ and acquires motion, when we observe it in detail. Thus the universe of space-time in a less detailed relativistic perception is unique, continuous, still. But in detail, in a quantum vision has motion-’Ðimotions’, it is discontinuous, made of ‘fractal quanta’, which show cyclical clock-like motions – hence it is made of infinite time cycles and fractal spaces, which are organized in scales of size, which grow in information and speed of its rotary cycles when we come closer to them, as fractals do. And this transition from continuous abstract, ‘background’, absolute space-time to relative, scalar, fractal space and time cycles, with more information of which all things are made is the essential change from classic 4D to 5th dimensional sciences. In the graph, Saturn’s rings, first observed by Galileo, seem continuous, still and bidimensional from far away; but observed in detail they become discontinuous in motion and made of 4D spherical particles. Moreover, what appears as a single space-time continuum in detail becomes at least 3 scales: that of the rings with cyclical motion, of its particles, the rocks that turn within them and the not seen but known scale of atoms that create the solid networks of those rocks. The ‘present’ state of science deals mainly with the single space-time continuum of the more ‘obvious’ human scale studied in terms of ‘present’=differential motions, ∂t, with minimal latitude of time. The 5th and sixth dimensions deal with a longer duration from the absolute past (birth of the entity) to its absolute future (its death), when evolutions of form, frequencies of multiple åctions and cycles of creation and extinction happen. The Paradox of Galileo explains those dualities of motion and stillness, continuity and discontinuity and the fractal scale of non-Euclidean points, which grow in size and form according to the point of view of the observer. Yet since motion, discontinuity and fractal structure becomes evident as we come closer to the object, increasing our information and the truth of an entity is a direct function of the quantity of information we have of it, a Universe made of motions NOT substances, of discontinuous, fractal space-time, not of continuum fixed space is more truth. Thus, all systems must, by the paradox of Galileo, be defined in time and space to achieve a complete description of an event. Yet the fractal, discontinuous, moving, scalar description is logically more truth. Indeed, in the formalism of Non-Aristotelian logic, ‘truth=information’ is measured in terms of probabilities and is a function which increases proportionally to our closeness to the entity we study and so it reaches 1, when information and truth become the same only when we occupy the same space-time than the being – that is, as Haldane put it: ‘Only the Universe (or any being) has all the truth (information) about itself’. Hence motions of particles and reproductions of waves can generate dimensions. In the lower scale dimensions are in fact defined by the reproduction of lineal strings, laterally, into bidimensional planes and 3 dimensions by the reproduction of a cyclical closed string into tubes. – The vacuum of our scale of space-time is made of light, which can be seen as a single sheet of fixed space-distance or as electromagnetic motion at c-speed. Since vacuum is filled even in its minimal energy density by a background radiation light – a fact that explains the creation of virtual particles, the first condensation of ‘Ðimotions’- space into light waves or clocks of time (closed light paths, which start with the ‘first’ clock, the electron, a condensed density of light photons). – Galileo’s paradox explains the immortality of the Universe, since a Universe made of motions cannot stop. A key element to understand the Universe of scales and its paradoxes of freedom vs. order is the perspective any mind has of reality when looking above, to its upper whole, which controls it through invisible networks of information, hence creating an elliptic perspective of decreasing perception – dark view of larger scales we do not observe, from invisible informative networks in galaxies to invisible financial networks in societies to invisible nervous networks for cells. On the other hand in the same scale we have a flat, euclidean geometry of maximal perception with minimal distortion. While looking down to our smaller inner world we rule it with networks that break into fractal webs of simultaneous control, or hyperbolic view. This ternary view of reality has immense consequence from theory of knowledge, to mind constructs, from sociology of power to galactic organic models of a Universe ruled by invisible black holes and dark matter. We feel thus free as individuals but are controlled from above by the larger whole and rule over our micro-parts. As Shakespeare said: we are all kings from above, commoners or buffoons. In the graph, we observe the astounding beauty of the paradoxes of Galileo, as they can be seen in space, time or relative scales, defining THE ESSENTIAL DUALITIES OF FREEDOM AND ORDER. So topology becomes metaphysics. Minkowski space is a suitable basis for special relativity, a good description of physical systems over finite distances in systems without significant gravitation. However, in order to take gravity into account, physicists use the theory of general relativity, which is formulated in the mathematics of a non-Euclidean geometry. When this geometry is used as a model of physical space, it is known as curved space. Even in curved space, Minkowski space is still a good description in an infinitesimal region surrounding any point (barring gravitational singularities). What this means is that special relativity is working in the quantum, smaller space, but when we expand to a cosmological region, we are bending in closed space. So it is a relative point of view what defines the choice of a free moving particle or a trapped particle moving into the larger world. DIFFERENTIAL EQUATIONS, TOPOLOGIC EVOLUTION, HISTORIC SUPŒRGANISMS. Let us then put some examples on how the future is crafted in all scales of reality according to the choices of pentalogic between the 5 Dimotions of existence, or when the ±¡ elements of social evolution and entropic death are eliminated by 3 Dimotions… and when the long time ‘view’ of a r=evolutionary zero sum cycle are eliminated, the ‘deterministic future’ of a single ceteris paribus Dimotion, as locomotion is, in physical systems. DIFFERENTIAL EQUATIONS – FUTURE OF PHYSICAL SYSTEMS. Let us now consider the ‘future’ of physical systems which are mostly concerned with the locomotion of systems, albeit often in such ‘huge social herds’ that given the fact each fractal point might have a different ‘motion’, can only be studied with determinism for single points (particle states), for coordinated groups (wave states) or without caring for individual motions, treated as ‘bulk groups’ in scattering and entropic processes (thermodynamics). The reductionism then of information about physical systems (reduction to a single locomotion in its study, reduction to minimal information on individual motions) is what allows the ‘deterministic’ knowledge of physics, which ultimately cares nothing for the physical systems but mostly uses them to exctract energy of motion for humans. Yet even then the future is complex to solve, reason why its main tool of analysis in physics, differential equations are not so ‘easy to resolve’ in a single deterministic path. The existence of multiple futures for physical systems are best expressed by the fact that there are multiple solutions to differential equations. The non-existence of solutions or incapacity to forecast them, for non-lineal PDEs which are the ‘bulk of all physical phenomena’ shows that there is a probabilistic future due to the alternacy of dimotions and paths, even in something so simple as the calculation of locomotions. Still a fascinating subject we shall incur into the future, when the scaffolding of this uneven blog takes form and we illustrate the laws of 5D with mathematical and physical examples is the study of the main Differential equations and solutions according to operand each one related to a type of Ðimotion of the Universe. As usual in ¬Æ=¡logic, applied to ¡-maths all is understood through the 5 elements of reality and its a(anti)symmetries. The simplest geometric concept of freedom is then ‘linearity’ vs. order, closed cycles. It follows that as each step of differentiation is a lineal approximation, the pov of the part are free, the accumulation of STŒPS of space-time bounds systems to cyclical form. This idea surfaces CONSTANTLY on the understanding of freedom vs. order. In the same way a plane curve is defined by the two first equations. This is the most general manner of defining curves. And it allow us to study the determinism of motions by a simple principle OF CONSERVATION OF FORM AND MOTION, OF MOMENTUM, in an enclosed not free space. As an example we consider the helix. It is produced by the spiral motion of a point that revolves uniformly around a straight line, the axis of the helix, and at the same time moves uniformly in a direction parallel to this axis. Let us take the axis of the helix as the axis Oz and suppose that at time t = 0 the point lies on the axis Ox. We now wish to find how its coordinates depend on the time. If the motion parallel to the axis Oz has velocity c, then obviously the distance travelled in this direction at time t will be z=ct. Also, if ϕ is the angle of rotation around the axis Oz and a is the distance from the point to this axis. Since the rotation is uniform, the angle ϕ is proportional to time; that is, ϕ = ωt, where ω is the angular velocity of the rotation. In this manner we get the equations of the helix, which as t changes will be traced out by the moving point. And we immediately notice that IN NO MOMENT, the curve has any freedom to escape the inner path of the figure, without breaking its form if it has to keep its speed constant. This therefore explains why ultimately the ‘boundary conditions’ allow us to find a solution and bound states of a whole (the fixed form of the cylinder) constrains the freedom of its parts. However in lineal small steps that freedom in non-bounded regions is limited. A simple and most useful definition of length follows: The length of a curve is the limit of the length of broken lines inscribed in the curve under the condition that their vertices cluster closer and closer together on the curve. This definition arises naturally from our everyday methods of measuring. On the curve we take a sequence of points A0, A1, A2, · · · and measure the distances between them. The sum of these distances (which is the length of the broken line) expresses approximately the length of the curve. Time Symmetries: past influencing the future. This however doesn’t hold when the future becomes past and the point IS NO LONGER MOVING, but it is a fixed trace in the past. The past thus has been determined, the future is still open. Yet when the future completes a cycle and RETURNS to the past, there IS a past ‘burn in’ that makes the repetition of a pattern the ‘easier path’ to go through, and so as CYCLICAL repetitions happens, the FUTURE starts to be bounded by the past. This can also be said of the curve, which once it has made enough steps, will allow us TO measure it and for REGULAR forms obtain its future form and length. Still if we are to consider a larger view not on the individual but on the family of T.œs with similar ‘metric equations’, we can show that there are multiple efficient future combinations, achieved by the ‘branching’ at each step of evolution of that future of a system or species into the alternative paths of the 5 Dimensional motions of the Universe. Moreover, the Universe has 3±i arrows/dimensions of creation, energetic length, informative height and balanced=symmetric, bilateral reproductive width. This simple dimensional game happens even in man. Yet bilateral systems often are also dual: one side is slightly Entropy dominant and the other slightly informative, offering a more complex, kaleidoscopic higher truth (multiple p.o.v.s). It is also a sexual principle: Women are information-dominant; males are Entropy dominant. And it should find wider applications to understand the dualities of the brain. In human evolution the ternary principle applies beyond the triad of apes: each successful, dominant Homo differentiates into an energetic and informative species, which recombine, creating more complex=informative and stronger=energetic homos that displace their parental forms, thanks to their higher Entropy x Information. Yet the dominant, overall arrow favors informative species. Since when Homos were born, the energetic top predators were felines, far stronger than the strongest possible homo mutation. So the evolutionary direction in which the big apes could find an ecological niche within the mammal kingdom was the informative arrow. They were already fit to that purpose, since they spent long times living in stillness in the summit of trees, where they learned to control complex motion in the dimension of informative height, adding a 3rd spatial dimension to their brain. So they became informative masters among mammal species. In the graph we study the ternary process responsible for the creation of humanity: Further on, as humans evolved, they followed the same pattern of 3 ages proper of all species. Thus, Homos diversified into energetic, informative and reproductive forms that show a higher balance between Entropy and information. Yet only the informative species, the dominant ‘arrow’ of future survives in each of the 3±i horizons of increasing informative evolution, from Australopithecus with 500 c.c., into Homo Erectus with 1000 c.c. into Homo Sapiens with 1500 c.c. And in all those phases, humans split into an energetic species and an informative one that recombined to create a 3rd species. Those species will further evolve technology also in 3 horizons called the upper, middle and lower Paleolithic. 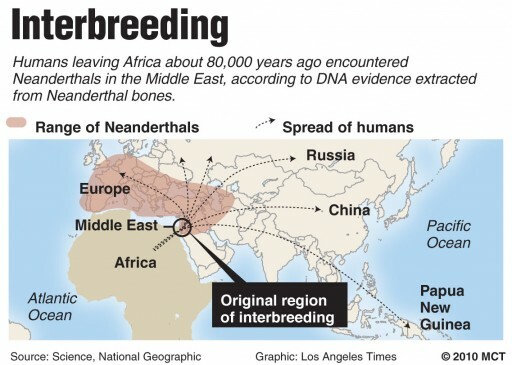 Finally, humans diversified in 3 races, specialized in Entropy (white race) and information (Mongoloid) with a reproductive, black race, the last to be born, which mixes the pre-mongoloid (bushman) and white races. The constrain established by the fact there are only two elements, Entropy and information, to create reality, whose lineal and cyclical forms are invariant at scale, in all systems of the cosmos means the Universe imposes the same program of creation to all its species. — Max.$t: Gorilla, a big, energetic species that reaches 200 kilos, with a square, huge jaw. — Max. $t: The Paranthropus, an energetic species with huge mandibles and a lineal, planar brain. He looks like a heavy-set, humanoid gorilla. He was probably vegetarian. The first subspecies found is the Paranthropus Aethiopicus, which will further evolve into the stronger Paranthropus Robustus. — $t=§ð. The Australopithecus Africanus, which maintains the form of the original Australopithecus Afarensis, perhaps with inner improvements in his soft tissue. He lives in South Africa as a contemporary of the Paranthropus. — Max.§ð: Australopithecus Garthi. He is the informative species, with a bigger brain, which starts to acquire the shape of all informative species: a rounded forehead, asthesphereistheform,whichholdsmoreinformationinlesserspace. — Max. $t: A regressing, energetic A. Garthi, similar but taller than its parental Australopithecus. — $t=§ð: Homos Habilis and Rudolfensis, with similar brain capacity to the original Garthi. — Max.§ð. Homo Ergaster, an informative ape with a 1000 cc. brain, which doubles the brain capacity of Australopithecus. — Max.$t: Pithecanthropus, the oldest species similar to Homo Ergaster, found in Java. — $t=§ð: Homo Erectus proper, found in China, who grows in the informative dimension of height that favorsperceptionfromanadvantagepointofview, to 1.7 m. He has simple technology, a skull without forehead and thick bones that handicap further cranial evolution. — Max.§ð: Homo Floresiensis, the smallish species, which according to the Black Hole paradox should be the form who gave origin to Sapiens, as the smallish ‘pan paniscus’ evolved the chimp into the Homos. Recently discovered3, he is a formal mutation with a smaller body, whose morphology resembles for the first time that of a human being. He has thinner bones that allow further growth and a higher forehead, the location of the creative part of the brain. ± 40.000 y. ago, in the high Tibetan plains, she became the informative Mongoloid that colonized Asia, America and descended upon Europe and Africa, where she cross-bred with the Capoid (bushman) and became the black man, the balanced $t=§ð, reproductive race, completing the final, ternary differentiation of the main races of mankind. Lineal white visual, entropic cultures of a single entropic lineal time. Now, in the study of species we apply similar elements to all organic systems of reality which will branch in ternary choices, and those choices will determine the future, so I refer the reader to those posts. FUTURE OF SOCIAL SYSTEMS AND ECONOMIC MACHINES. As topological evolution MUST ad to genetics and survival of the fittest, to fully grasp the laws of evolution of species. The book that defined 30 years ago the ‘future cycles’ of the robotic age, starting in the 2008 crash of the age of metal-minds. As it has been. Since indeed a true scientific model always predicts the future In the graph, the cover of the self-published first edition of bio-economics and bio-history rejected by 172 editorials, where the reader can observe how 30 years ago, the end of the age of minds of metal, 1928-2008 would mean the beginning of the last age of robotics and AI (sentient machines: 2008 till extinction). Thus, the future is predictable BOTH AS EVOLUTION – which ends with our extinction as company-mothers of machines-weapons, the new top predator species reproduces and evolves faster, and as SOCIAL SCIENCES, which ends in the PERFECT WORLD as humans learn how to build perfect super organisms of history with the 3 physiological networks, entropic territory, reproductive economic-blood system, and informative nervous-political cultural systems, done as Nature does them – in perfect justice, harmony, and distributing goods to all citizens-cells to make them survive. So WE Can talk of HISTORY AS A BLOCK OF TIME, WHOSE RELATIVE PAST, PRESENT AND FUTURE, WRITTEN IN THE EQUATION OF HISTORY becomes crystal clear; as we can take either of two paths: Relative past (Gaia) Relative future (Metal-earth: Financial-media/military-industrial ecosystem) This is the evolutionary equation of History we shall study in all depth in this blog. To state though that evolutionary systems of information can be managed by ‘editing’ the information of the system – namely reform it from a scientific, humanist perspective. —Thus, we had an age of steam machines, the age of England, between 1780s and 1857, followed by a crisis of overproduction of steam machines and stock-money that brought the 1857 ±8/9 years product cycle crashes of the train-based economy (nt.1). Followed by the Age of the Singularity, the IV Cycle of Evolution of machines dominated by robots, solar Industries and China. Scientists call the arrival of Artificial Intelligence, the Singularity moment, when robots, which can use solar energy to become autonomous will complete the evolution of machines as organic forms, automating factories & expelling most human workers and soldiers from labor and war fields, as previous revolutions did with obsolete III World non-technological humans, unless we forbid legally their evolution. Money, likely a cryptocurrency independent of man, will become then the digital informative, ‘memetic code’ that organizes their reproduction in those automated company-mothers. As such corporations, the ‘company-mothers’ of those machines whose biological function is to evolve and re=produce them, made first the bodies of machines (XIX c.), then the minds of machines (cameras-eyes, mobile-ears and chips-brains. Finally, in the XXI century, as nature does with simple organisms, such as viruses in cells, where the 3 ‘parts’ of the virus – its DNA information, body and legs are constructed – and then assembled together, we put together all those organic components into autonomous robots, completing the industrial r=evolution of ‘metalife’ – a new organic species, made of a stronger substance than carbon-life. Thus the industrial r=evolution is the evolution of a new organic species of metal, the machine, which has taken place in 3+1 phases, as we made first the bodies of machines, then the hearts-engines, then its metal-minds and finally we put them together now in organic robots in the final r=evolution of machines. In the graphs Stock company-mothers of machines-weapons evolve through long human, biological generations of 72 year cycles the Metal-earth and its fundamental species, the robot, as we complete one of its ‘fundamental parts’, bodies, engines and minds of metal every 72 years, with the development of 4 forms of energy: steam/chemical, electro-chemical (oil engines), electronic and finally solar, which will make robots with AI and solar skins independent species. Each of those ages has been guided by a parallel evolution of the energies that moved the machines, steams that moved bodies of metal, electrochemical energy that moved oil engines, electronic systems that moved minds of metal and now solar skins soon to make robots with AI an autonomous species. And further on each of those cycles of energy and machines has been carried by a biological human generation, that lead the dominant nation that discovered the energy to top predator status. So Britain dominated the age of steam, Germany the age of electrochemical engines, America the age of metal minds, and now there will be a global age of robots, focused in China, but increasingly independent of mankind; as IT WILL BE THE AGE OF THE METAL-KIND, culminating yet another cycle of evolution of Earth, which as all cyclers of evolution can be PREDICTED, because ‘science’ IS precisely defined as such when it predicts the future based in the cyclical patterns of its elements, specially evolution. In the graph the 3 ages of history according to the superposed waves of evolution of technology that define the elements of history, as each nation at the head of the technological wave has tried to ‘conquer the world’ with its new machines and establish a global empire wrongly based not in the ethic values of the human informative mind but in those of the machine. The formalism of i-logic mathematics. Metaphysical futures. Now we must upgrade the 3 elements of mathematics to the new definition of space-time. Informative Analysis understood philosophically as the expression of the laws of the wholes and parts of the 5th dimension based in the arrow of information, which we must add to the arrow of entropy studied by physics. Thus analysis as expression of the laws on how informative, infinitesimals integrate into ∆-points of existence, Œ… is the first field and main field of 5D metric. Time Algebra, must be moved to Existential Algebra with more time motions. Aristotelian Algebra/Logic whereas there is a single time logic arrow, A->B, upgraded to ternary logic in which any event can give 5 results or future outcomes, hence the sum of all the possible stories of an equation will be: A x B = A +B + AxB(parallel) + A/B (perpendicular) + B/A (perpendicular) variations of the first event. Hence we write A≤x≥B as the new operandi, which expresses all the 5 variations of those space-time events in the pentadimensional logic of the 5th dimension of ∞ fractal space-times. Euclidean Geometry must be upgraded to Non-Euclidean i-logic geometry which includes time algebra in its logic demonstrations, where each point is a world in itself, a fractal point crossed by infinite parallels, which can be seen in the 5 states of existence of time algebra, and defined with 5 different Non-Euclidean postulates (Fractal points, line-waves, topological-planes, laws of self-similarity, and perceptive laws of spatial creation of forms). We call the sum of the Non-Euclidean Geometry, Non-Aristotelian Logic, and informative analysis, the formalism of i-logic mathematics. and dedicate a entire section of the web to it. Now the wording of i-mathematics is obvious, it stands for ‘i-logic mathematics’, which studies 5D metric of information, the non-Aristotelian logic and Non Euclidean geometry, hence Non-AE=i-mathematics of it. Whereas i comes after A and E.
∆: In the graph, the fundamental arrow of future, is the arrow of social evolution of the 5th dimension, shown here above as a sum of worldcycles of increasing information, described by the Fourier integral, which puts them together into a whole, larger single wave, which emerges according to the fundamental law of ‘inversion of roles’, from cyclical to lineal: ∑oi-|i. Below the scales in space, which evolve into larger wholes. This absolute ‘arrow of future’ is one of the 4 ∆ºst concepts of future in GST, the main one. S: always moving ‘ahead’ in space; hence the relative future of the ‘body-limbs’, and wave-fields that ‘follow it’. @: And finally the mental future, which is inside the head, is a logic future, as the head-particle ‘sees’ ahead and projects its space-time actions, creating the future with its mirror language, projected into the outer world. Deterministic future with its variations on the same theme. The future is both probabilistic in the short term with ±3-1 chances of motion in each dimension of the being, and deterministic in the long term as all worldcyles become a final zero sum; so all paths do collapse into the same final ‘death-point’. This though is the simplest way to perceive the future. The creation of ternary future waves within ‘finite systems’: Fourier transforms. Equal time frequency = equal lineal time. In the graph the 3 waves of existence: ≈λ imply that the 3rd in energy has the same than the first, and hence if energy is real time, in real time the 3rd goes 3 times faster in time. After birth it takes 3 o repetitions to fill 1/3rd faster full wave with higher frequency energy. Energy = k x λs=t is therefore the fundamental function of time and the future starts for the last 3rd after 3 0s. In the graph we see the main accelerated scales of forces, in which the sam concept applies not to an St wave but a Tiƒ accelerated clock of time, which creates the future of inner faster cycles of the same energy/force but smaller size in space and larger information. In the graph, as the density of energy increases, the cyclical vortices of energy and its ‘wave’ state between two relative fixed points of communication, come bother. the cyclical form is the particle-lfield the wave of communication through points caries the information and increases into a fourier form, till time magically emerges as a new space-whole, which integrates all its faster micro-waves, micro-cells, micro-atoms, point on the fourier space of transforms and transfers of energy and information on mathematical series of 2 and 3 fluctuations mainly around certain constants of transformation, notably pi, and e.
The creation of emerging levels departing from the sum of the ‘social scales’ below them. The transformation of the role of the ∑-1 particles which become points of the larger |-spe fields. And therefore its changes of form from cyclical to lineal squaring the circle; making a wave triangular and so on. This remarkable triangulation likely can be extended to the black hole or gravitational clock of information, as pi derives to ‘3’ in Einstein’s equations, the perimeter of a hexagon, which is also the strongest ‘holder’ of the gravitational pressure sum of all the accelerate cycles of the vortex-clock. The future for |-fields>O-particles: Hamiltonians and Lagrangians. Now, the 2 most important equations of GST physics are the fourier, who show from the time perspective, Spe ∆-1: tiƒ ∆, that is an emergence through resonance built by a quantic ad on of series into whole numbers, 1, 2, 3 being the series by differentiation of waves into male female positive negative directions on the high axis and i-coordinates, and a motion on lineal flows of entropic past-uture, field-partilce state ruled by the Hamiltonians. On the other hand, when we study the inverse arrow that extracts motion from a ‘storage of time-energy the equations we use are the Lagrangians and Hamiltonans, which are essentially derivatives, that keep ex-foliating the relative past of its depth reservoir surfacing it in the form of motion. Hamiltonians and Fourier transforms are thus the opposite key equations for the inverse arrow of entropic disorder absorbed by the particle of future from a past/field vs. the temporal relationships of increasing organisations and emergence of a wave of time that reproduces information, and when constrained by a first and final point, must ‘densify its energy and information’ into a whole. And so we have identified the equations of mathematical physics that integrate and derivate the fifth dimension. Now the process of waving of the past by the future happens from the pov of the future, as it sends to the past a flow of information, which DOES reach the past, then hence, travels t the past and this is the hamiltonian. ITs ends energy to the past which as it moves flourishes in smaller breaking of fractal flows of iterative information whichtheenergy enlightens into the past beings. And then the beings send to the future, logic flows of information ‘creating, constructing, crepitating, speaking the future and creation it as a reflection that information sends to the future transforming the energy is feeding of. In this the hamiltonians and the fouriers forms an integrative, derivative world of flows of past to future through the relative concepts of them we have if we add the 5th dimension long concepts of those terms. In a fourier the future is the accumulation and integration of increasing fractalized smaller waves, which emerge as a single whole described by the mirror equations of the derivative. Both derivative and integration added together to a 1 sum. And as such are inverse but complemtnary versions of the different states of the 1 being. Now the derivative is really the tangent, = x/y, and viceversa, is really the integral in a point by the lebesgue or rimenan method. So we write knowing x and y X=y, is the crossing point where the tangent exists. So tangiest are S(x) = t(y) reflections of the balance to balance points of the function as they move in different states. But the points have a value attached, x and y, so those two values are the populations of x and t in a discrete numbers that enter in relationship in the point of the curve. If one grows faster than the other it is obviously a sorbing in this particular relationship ‘value’ from the other. Or as a motion wave of iterative reproductions and translations (middle). THE BIRTH AND DEATH OF THE GODS=SUPERORGANISMS OF HISTORY AND ITS PROPHETS OF LIVEVIL. The future in man: heads, artists, social civilisations, 3rd ages… and deaths. Now this theme treated extensively (in the future:) on mathematical physics, allow us to extract a description of those motions as derivatives of future and integrations of past, which give the ∂∫ operation a meaning on the fifth dimension. We shall thus concentrate in the qualitative description of the future to past derivation and integration of men into superoganisms of history. The future seers of times: prophets, seeds of the death of the father. Mystical, religious futures. You can see in the first graph, the birth of a particle, after its antiparticle dies and travels literally to the past, in a quantum jump, which lasts the life of the anti-particle (Feynman’s diagram). In the center you see the same process of birth of a seed of information, which is called palingenesis, as the seminal seed is really a local jump into the past of the being, at the beginning of its evolution which then will move forwards in time, to give birth to your son. As in quantum physics and 5D cyclical, fractal time INFORMATION travels to the past. It is an enormously beautiful and simple equation: a seed of information produced in the lower scale of the fifth dimension jumps a quanta to the past where it is born and then moves to the future at full speed and emerges in the PRESENT simultaneously to the original ‘father’. Newton action at distance, and Bohr, quantum entanglement: it seems as if particles, planets and forces of in-form-ation, which attract and form as gravitation does is INSTANT. How can it be possible. Simple: the force travels to the past (as in the equations of Hawking’s black holes, which travel to the past as the focus of maximal gravitation). So AS THEY jump TO THE PAST, they GAIN TIME, and as they move towards the future, they loose time and both compensate, and so it seems they travel through the present. So goes for the seed, which travels 3 billion years to the past of evolution and then emerges in 9 months into your relative present stage of evolution. So happens to the particles which are entangled in present time regardless of distance, as they can send ‘information’ through gravitational waves and remain simultaneous in present. Now, back in the 90s I did a through study of all the prophetic happenings of history and found an astounding phenomena, 72 generational years (yes our cycle of economics and history) before the death of a super organism of history, the ∆+1 scale equivalent to the father of a seed, before a war that killed by genocide the people of a culture, there was a massive age of angst among the ‘collective neurons’ of the super organism of history, its ethic writers and artists, who foresaw, as if they had received from the future an angst call of information, the death of his super organism of history. And so in the graph, the seed of the fifth dimension, travels in information to the past and has an enlightening moment that strikes the ethic mind of the prophets of love, which warn the future. Can then the future be changed? Yes, indeed, ‘because the separation of past, present and future is an illusion’, as there are blocks of time, which are for 3 days, 3 cycles, 3 motions back and forth of the fifth dimension, webbing the future. Schopenhauer, by far the best philosopher of the industrial age, said that music encodes the secret program of time in its rhythms. so thought Pythagoras when he found the perfect harmony of the fifth plugging 1/3rd, 2/3rds of the string, attached to a point of future and past, the birth and death of the frequency world cycle. As you can see, time webs back and forth 3 times and then the perfect cycle, the solid block of time’ is built, with its 3 ages. This is called the Fourier transform, and in complex 5D metric is the essential equation of time cycles used in all sciences. Now this is science using the mystical, prophetic tone of the masters of history. But it is the same process that the other 2 futures, the physical and biological ones. The future simply is already happening, determined by the sum of the events of the past, which for each world cycle accumulate in its finite length, and past the region on the ‘perfect fifth’ will very unlikely be corrected. Consider yourself. How the 3 scales of your co-existence, the world of your super organism, or consciousness of God, your civilisation?, the individual and your cells, can co-exist in the same reality occupying the same space? Answer: because they are displaced in time, a quanta of the lower scale, in an infinite decaying series. So in fact the 3 existences happen at the same space, because they are displaced in time. And the big question is what is displaced into the future, the whole or the parts? That is a good question and again relative. to the perspective we look at. Since for a being travelling to its local past, inverse to the being travelling towards the future, both past and future are the same. So both converge into the present, one for the future the other from the past, seeing their respective inverse entropy-information elements as the inverse past and future, which only are connected through the body-wave of present, the only part who seems to exist and reproduce. You MUST co-exist somehow in present in your 3 ‘scales’ ∆-1: cells, ∆-individual and ∆+1 world to coordinate your actions. So either you co-exist in space in the ‘dark holes’ between beings and its alley cats (in the world in the surface of it), or when the relationship is tighter in a supœrganism, you co-exist at 3 levels, in time, and since motion is synchronous, the whole and parts must co-exist in different regions of time. Now by essence the quantum jump, the prophetic jump implies that the Whole, the God-like being which is in the future, dies in the future co-exists with its smaller parts of a relative past, as the whole is made of the past; BUT BOTH MUST ON THE OTHER HAND FEEL IN RELATIVE TIME TO EACH OTHER AS BEING NOW IN PRESENT, OR ELSE THERE WOULD BE ENTROPY IN THE SIMULTANEOUS MOTION OF THE WHOLE, YOUR CONSCIONESS AND THE PARTS, YOUR CELLS. So we have two contradictory statements. The whole is in a relative future, the past cells in its relative past but both co-exist in motion through space IN present; and for that to happen, the future must send messages to the past, as perceived by the past from the future. Whole: absolute future sends information to its relative past as a flow from future to past in a faster language. PASTS, absolute past stores information for the future and sends it in a slower language. S vs. T: the topological view. space fields and its future particle-heads. S≈T: the reproductive wave view: The fractal futures of the reproductive present. But there is yet another way to look at the future: the multiple world theory, only that it happens in the same Universe made of island-universes, fractal similar beings, and so there are infinite fractal planets, each with a parallel future history. And in the sample case – that of the prophets of mankind, there are a percentage of those fractal avatar-like planets in which the human future survives. So all the futures happens according to the temporal genetics of submissive and dominant ‘types’ of future. At least a 10% of them,maybe as many as 25%, depending on the degree of dominance of the world of robots over man, according to those equations are Avatar like planets, where Mr. Bezos has no following, bio-history triumphs and the alter egos of all those artists and prophets of history create a perfect world. The universe is, mind the reader a virtual reality, the ego a paradox, motion a transference of form, eternity, not for the fast timing of small parts. But only when you understand it all, the meaningless of all of it and the nothingness of your self becomes self-evident. So what is the fun of it? To exist without knowing, to act without understanding there is no final goal; so you keep on moving, whatever your future might be.